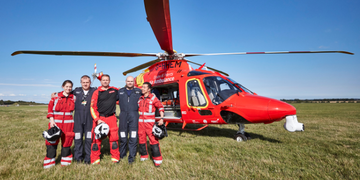 We truly are a life-saving Charity kept airborne thanks to everyone who plays our Lottery, makes a donation, enjoys our events, fundraises and volunteers in aid of EHAAT. Thanks to our supporters, we have been able to welcome our first purchased helicopter, the Agusta Westland 169 to the fleet. 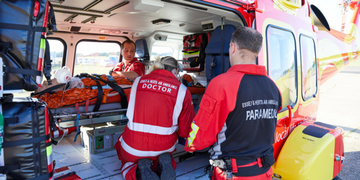 Our aim is to save lives, reduce or prevent disability, or suffering from critical illness and injury, by delivering a first class pre-hospital emergency medical service to the people of Essex, Hertfordshire and surrounding areas. 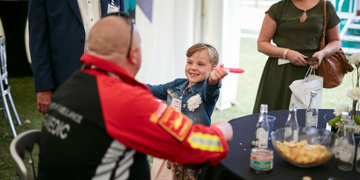 Without access to National Lottery funding and with limited support from Government, we continue to rely upon the generosity and goodwill of the people and businesses of Essex and Hertfordshire to remain operational and keep saving lives – working together funded by you! Essex Air Ambulance was established and began fundraising. Our first aircraft, a Bolkow 105 Db, was launched in July and operated from Boreham. 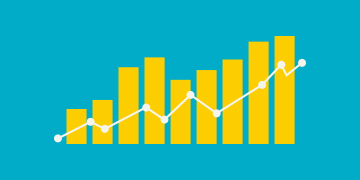 In July, we began flying seven days a week during daylight hours. Thanks to fundraising and public support, we commissioned the Eurocopter EC135 T2 in May. 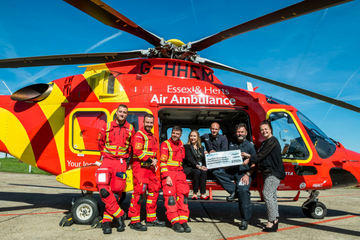 We established Herts Air Ambulance and started fundraising in April, merging the services to become the Essex & Herts Air Ambulance Trust. 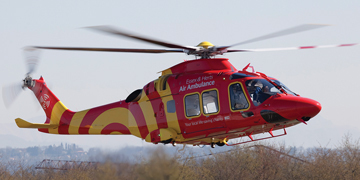 Our Herts Air Ambulance service was launched on 5th November. We introduced Pre-hospital Care Doctors to work alongside trained Critical Care Paramedics, and added Rapid Response Vehicles to our fleet. 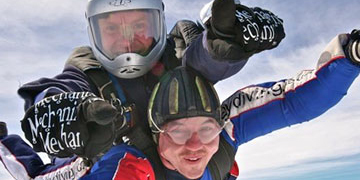 Our Charity headquarters moved from Boreham to Earls Colne Airfield on 31st March. The Charity HQ moved into brand new premises on the Earls Colne Business Park in March. The decision was made to purchase one aircraft and continue to lease the 2nd. The Double Pilot scheme was also introduced to enhance patient care. 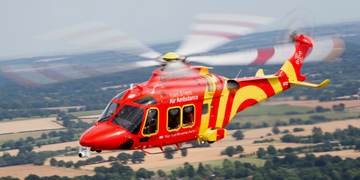 Essex & Herts Air Ambulance united the counties of Essex & Hertfordshire with a single brand design and unveiled their newly branded fleet including the Agusta Westland 169. 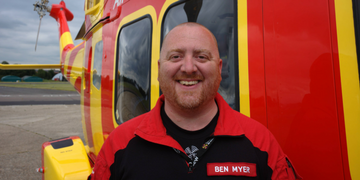 Essex & Herts Air Ambulance continue to look to the future. Our eventual goal of operating 24/7 is within reach, but only with the public's crucial, ongoing support.